« Which Wines to Serve for Thanksgiving? Wine pairs perfectly with the holidays. Think of a luscious full-bodied Cabernet alongside a Christmas standing rib roast; turkey with all the trimmings and a glass of crisp Viognier or a flavorful semi-dry rosé. Festive cranberry wines are perfect for sipping with a mix of hors d’oeuvres and ports can be savored at the end of a meal with or without dessert. And why not add some fun to your holiday shopping? Instead of running to the grocery store and picking up a bottle, take the time to visit some local wineries. Discover varietals and blends that may only be available in the tasting room, adding to their uniqueness as holiday gift items. 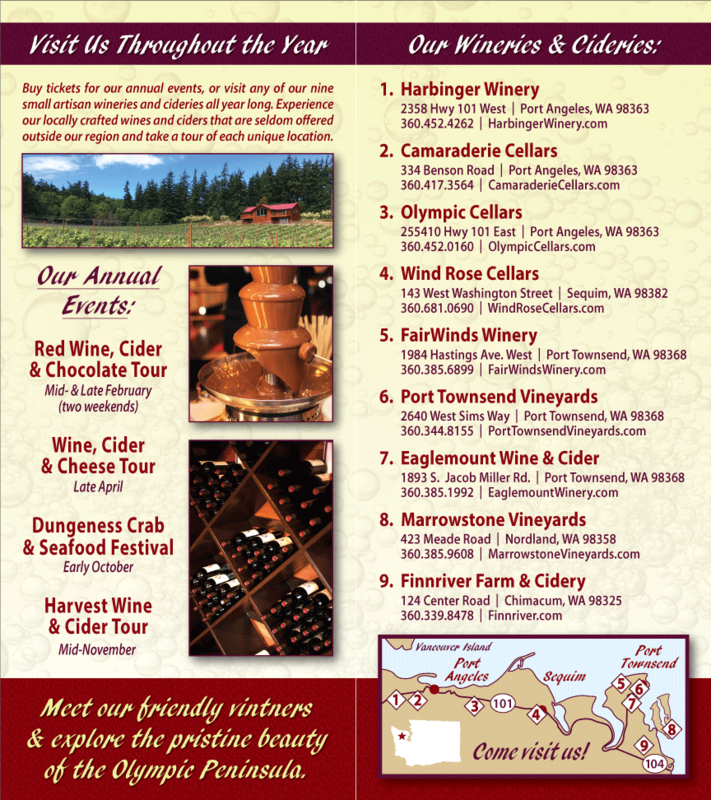 While pleasing those on your holiday list, you’ll also be helping to boost our state’s economy by becoming a “wine tourist.” According to the “Economic Impact of Washington Grapes and Wine,” a comprehensive study commissioned by the Washington Wine Commission and the Washington Association of Wine Grape Growers and released earlier this year, wine tourism expenditures increased 165.3 percent each year between 1999 and 2006, reaching $237.6 million in 2006. Overall, Washington’s wine industry contributes $3 billion annually to our state’s economy. Let’s keep the train going!